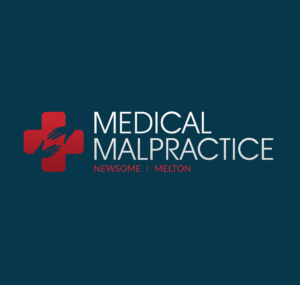 Medical Malpractice Help » Medical Malpractice Causes » Induced addiction » Can You File A Malpractice Lawsuit For Induced Addiction? When a doctor chooses to administer a potentially addictive treatment to a patient, he or she has a responsibility to make the patient aware of the possibility, as well as monitor the patient for signs of addiction. Should he or she notice signs of drug abuse, they have an obligation to immediately discontinue the prescription and replace it with a less harmful alternative. The monitoring and warnings associated with possible addictive prescriptions are the general standard of care expected of prescribing physicians. Doctors who ignore these guidelines and prescribe long-term addictive treatment to patients without consideration for their overall well-being may be guilty of negligence in causing their patient to suffer addiction. A physician can be held liable for causing addiction in their patients if he or she is found to have provided negligent care. This is determined by the doctor failing to perform their duty to the professional standards set by their profession and peers. This negligence is typically established by demonstrating clear evidence of the patient suffering injury due to addiction caused by their physician’s breach in care through the testimony of an expert witness or medical professional. Patients or their family members and loved ones are encouraged to contact an experienced attorney following their injury in order to discuss the merits of their case based on evidence of negligence and whether injury was suffered as a result. An attorney can also clear up any confusion related to the regulations and laws governing settlements and claims related to malpractice or negligence damages. Most malpractice attorneys offer initial consultations free of charge and usually work on a contingency fee basis, meaning they do not receive compensation for their time and efforts until their client is awarded for their injuries either through a settlement or court decision.